University of Calabar, UNICAL 31st Convocation Ceremony: Important information to graduands of 2017/2018 academic year. 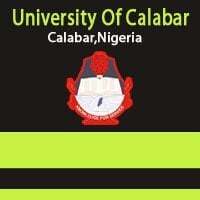 Following the publication of the Univeristy of Calabar, UNICAL 32nd Convocation Ceremony Programme of Events, the authorities of the institution release some important information to all Graduands of the institution as regards the coming event. Academic Gowns: Gowns are to be obtained from Faculty Officers on the payment of a deposit of N5,000.00 (Five Thousand Naira only). A refund of N2,000.00(Two Thousand Naira) will be made on the return of the Gown. Only accredited Photographers will be allowed into the Stadium. All small scale business operators, including Photographers, Video operators, food/drinks vendors, cloth/shoes retailers etc wishing to do business on campus on the convocation day are to pay N3,000.00 only to any Commercial Bank with UNICAL CBN Remita A/C No. 0050217461078. Obtain a Teller and forward same to the office of the Deputy Vice-Chancellor (Academic) for the issuance of receipts for such payments. Receipt Admits. All enquiries on the 32nd Convocation Ceremonies should be directed to the office of the Deputy Vice Chancellor-(08035458641)/Chairman, CPC or the Registrar of the University.